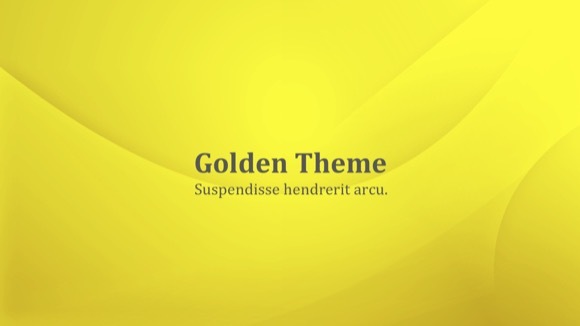 Golden PowerPoint template - FREE! 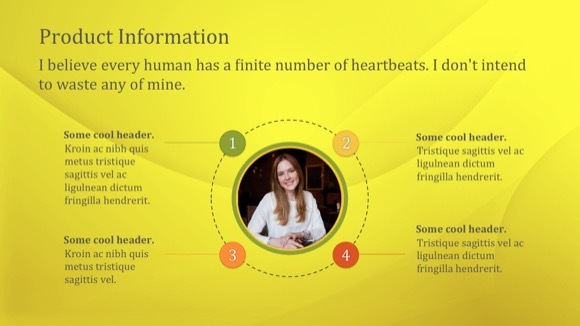 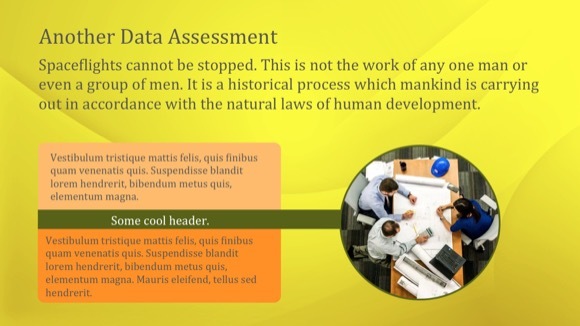 Golden PowerPoint template can be used for all kinds of demonstrations. 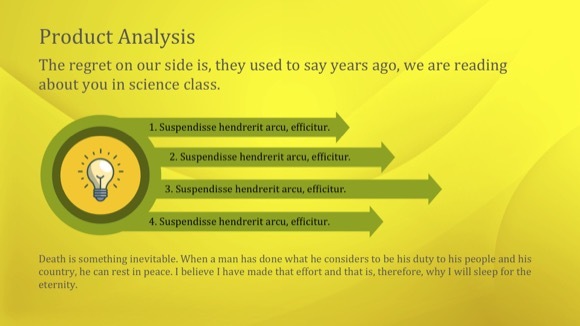 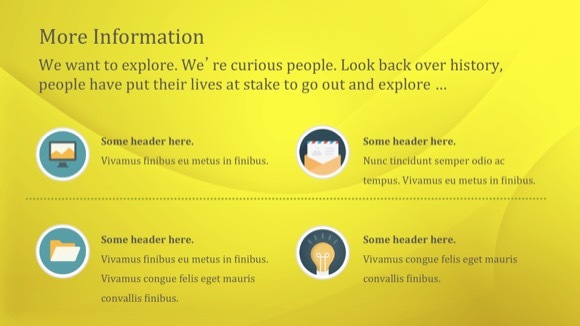 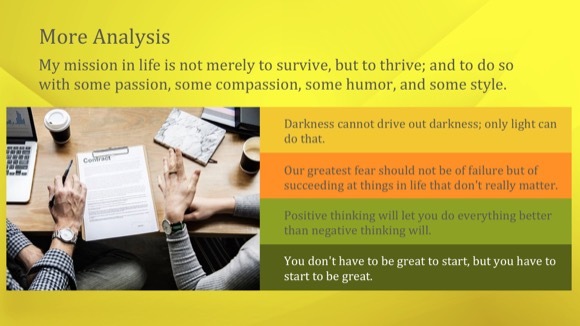 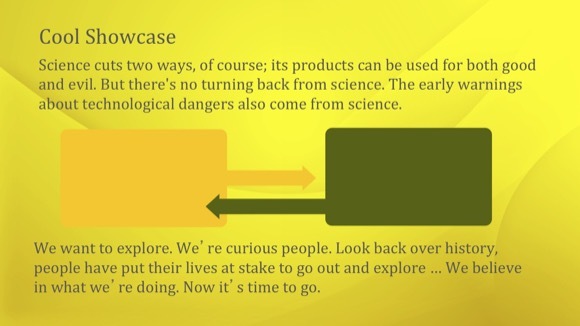 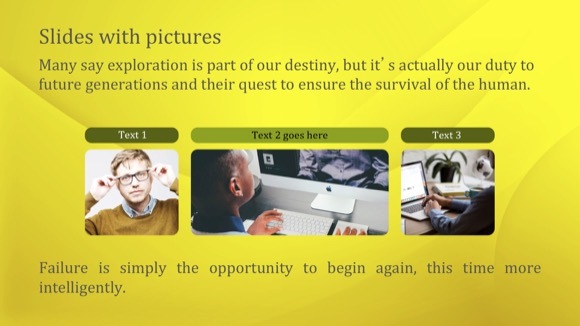 The simple yellow design of this PowerPoint can be used for intellectual and optimistic demonstrations. 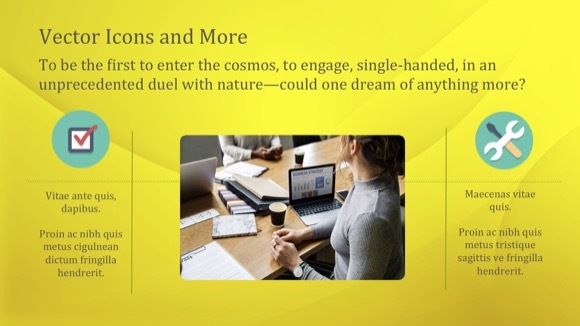 Golden PowerPoint presentation will impress your friends, colleagues, business partners or your boss! 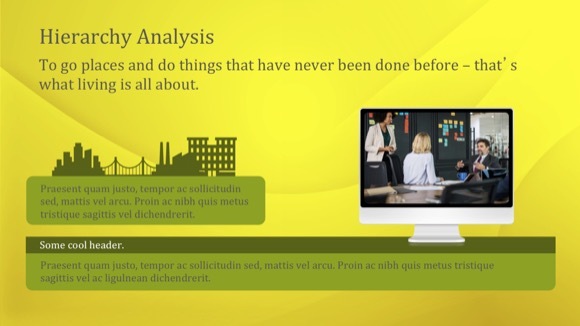 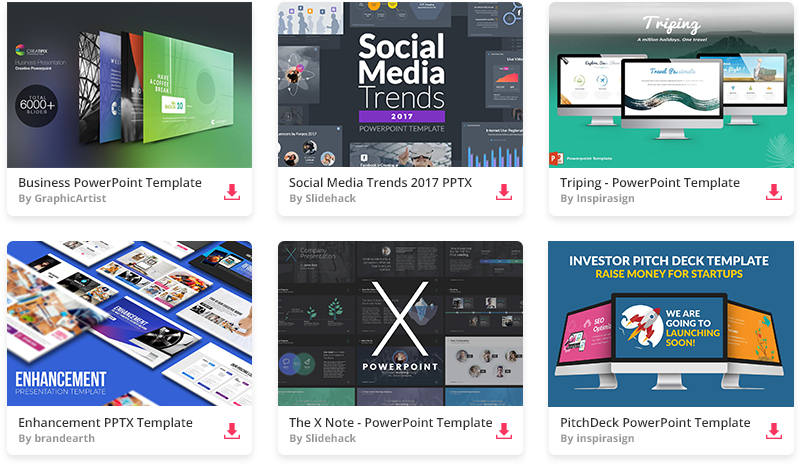 It gives you everything you need to produce a professional-looking presentation.